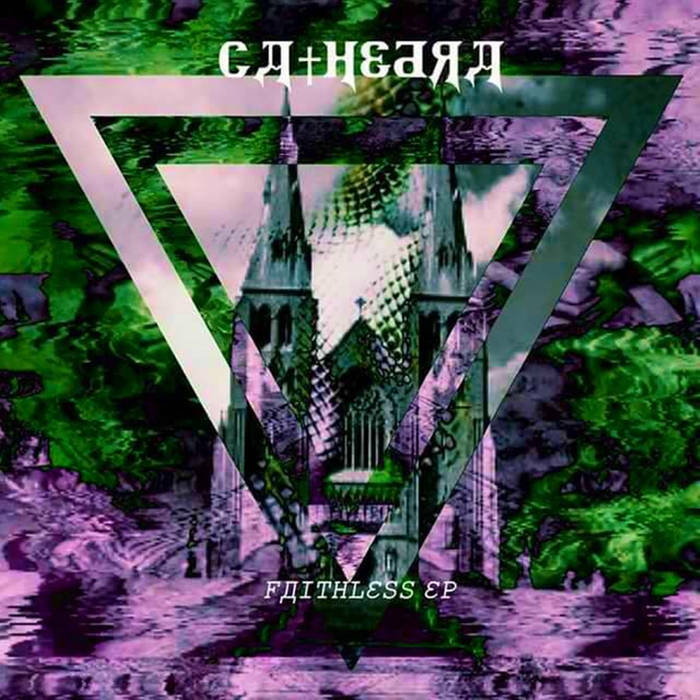 Ca†hedra is perhaps one of the most interesting underground electronic producers around today. Blending rave, psychedelic electronics, and a penchant for thick and sticky bass-lines, he cannibalises genres such as hip hop, trance, acid house, industrial and witch house and spits out something unique and always stunning. 'Faithless' carries on his haunting and atmospheric dance vision with tracks such as 'Dead Inside', 'Buried', 'Alone', 'Sudden Death, Pt.2', 'Anxiety', and 'Desolation' providing a solid mix of hard dance beats, dark psychedelic atmospheres and cutting rave leads. The songs all draw from a similar sonic pallet which gives the album a nice sense of continuation without sounding repetitive. However the defining tracks have to be 'Illusion' (featuring Bitwvlf) and 'Hopeless' (featuring Sensei), both of which shake-up the album's formula, and in the case of 'Hopeless' adds some beautiful vocals to accompany the sinister yet melodic backing track. The production once again is strong throughout the release. Despite the low-fi sounds often utilised the overall sound of the EP is as slick and confident as you'd expect from any mainstream electronic release. There's no over-saturated distortion, noise for the sake of it, or anything else attempting to cover-up shortcomings. Instead it's professional and and high quality throughout. Again, Ca†hedra may not have been around for a long time, but his body of work speaks for itself. Every release gets stronger and its easy to hear the skill and confidence growing. And with a pleasing combination of dark atmospheres, strong leads and addictive melodies, there's no reason why this project can't reach greater heights.